Pentium II Abit BH6-2 restoration | Enide! 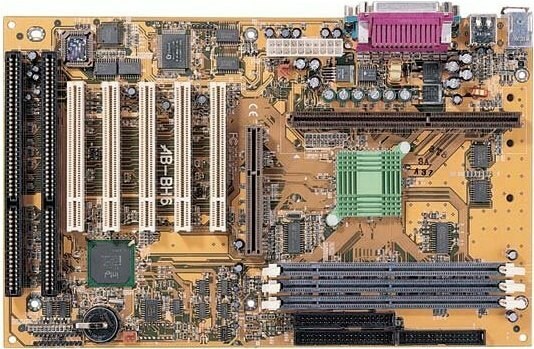 I have an Abit BH6-2 motherboard from 1998 that for many years was my personal computer. It features an Intel Pentium II 333MHz CPU and 512MB of SDRAM (PC133) so it's quite an old and slow computer for today's standards. 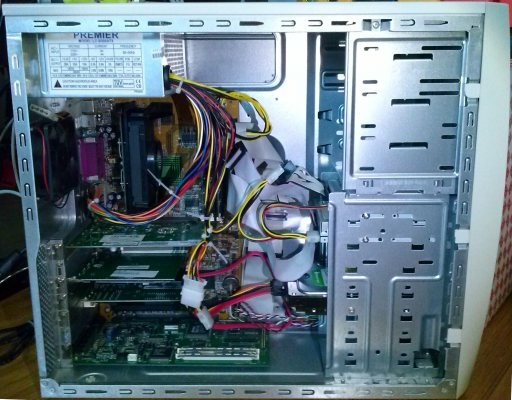 Nevertheless it is still very capable of running Linux or WindowsXP and can serve as a backup computer if another one happens to fail. While throwing things away during the last home cleanup, I recycled many old hardware parts that didn't work or had no use at all. The Abit BH6-2 motherboard, however, was supposed to work fine but when tested, it didn't boot properly and would crash whenever I tried to reinstall the operating system. 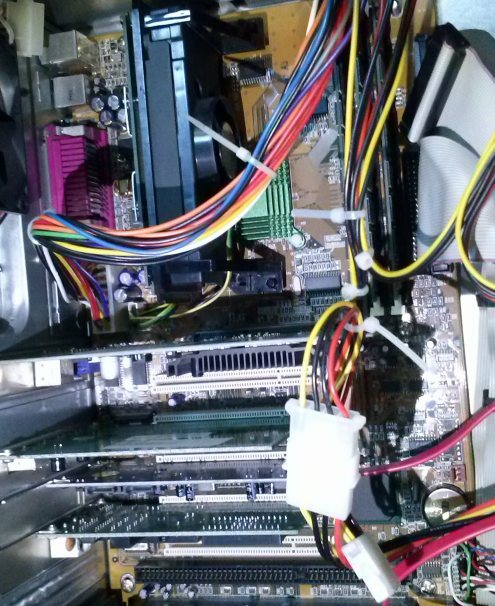 So the problem was bad RAM, bad power supply or bad capacitors. Testing all 3 DIMMs independently reported random errors on all of them, so that was a good indication that the RAM was either completely ruined or just fine. At the time I assumed the RAM was fine and later confirmed it really was! Testing the power supply 12V and 5V rails with a low Ohm resistor revealed almost no ripple, so that wasn't the problem either. Last suspects were the capacitors on the motherboard. Not a single one was bulged or showed signs of damage in any way, no abnormal temperatures, nothing out of the ordinary. 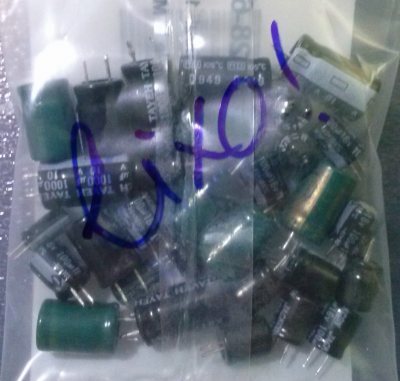 Since there are only 37 capacitors on the board, I went to replaced them all. 20€ later and a few hours struggling with a multilayer board I was able to replace all the capacitors without damaging anything. And the motherboard booted fine without any RAM errors or crashing while installing the operating system. On the right are some of capacitors removed from the Abit BH6-2. I tested a few of them using a ESR meter kindly provided by Sr. Vitor Manuel and some measured ESR values above the ideal values. Below are a couple of pictures of the Abit BH6-2 already in place on its enclosure box with all the expansion cards. The picture on the right side has my old Sound Blaster 32 pnp with 2MB of dedicated RAM (SB16 + integrated AWE32) visible at the bottom of the case. It's the next candidate to have its capacitors replaced to eliminate the hiss noise coming out through the speakers.